Every month, 3D Hubs, a platform which connects 3D printer owners with people locally who need something printed via hubs, pull together data they gather from their network of individuals and companies who use their service, and they use that data to build a wide-ranging trend report on the market. It’s a comprehensive view of the state of the 3D printing industry, and as the data comes directly from a community which now includes some 18,858 printers in more than 150 countries, the number of respondents is very large indeed. Filemon Schoffer, the Head of Community for 3DHubs.com, says the report included some expected results, and some market shifts this month. But for the first time in the report, Schoffer says two Delta-configuration printers led the charts. The report reveals that it’s the professionals who use 3D printing as an element of their work who make up the largest group, and they also account for over a third of the report respondents. The report says they make their own models, and 57% of them identify themselves as product designers or engineers. As for the uses on which they bring 3D printing to bear, prototyping is the most common use case with some 85% reporting that target. Some 32% of them use 3D printing for research, and 18% say they 3D print for end-use product production. As for the Makers, the report defines them as anyone who uses 3D printing for personal projects and design their own models. The Makers are the second largest group with a 34.9% share of the respondents. The report defines Pioneers as those who are relatively new to the 3D printing world – they represent 21.7% of the interviewees – and those users print for personal projects but generally lack design skills and acquire their object designs from content platforms. Last but not least are students or researchers who use the technology for education or for research, and they make up 8.5% of the respondents. Of those, 74% of students say they used 3D printing as part of course projects, but more than a third of those students say they’ve used 3D printing for personal projects. As for the highest rated 3D printers, the Kossel XL came in number one, followed by the DeltaWASP and the Zortrax M200. 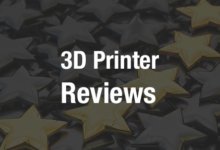 The report ranks the 20 rated printers out of 450 printer models listed on the 3D Hubs platform, and the report calls on users to rate them according to print quality. The report says the Delta-style printers still hold down the top spots as the highest-rated desktop 3D printers. As for industrial-level printers, the Objet Eden 260 topped the list with the Projet 3500 HDMax and the Objet Alaris rounding out the top three. According to the report, material jetting is the dominant process. The top cities for 3D printing are, New York, Los Angeles, Milan and London. Los Angeles just overtook Milan in this month’s figures, and San Francisco debuted in ninth position. Also of particular interest is the fact that the demand for White and Black prints increased yet again and now account for more than 50% of all 3D prints covered in the report. You can read all the details of this month’s 3D printing report on 3DHubs.com here. 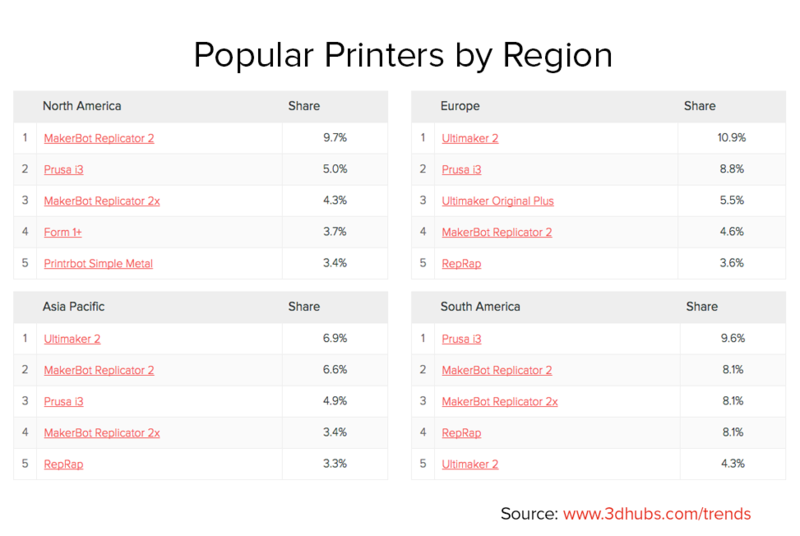 Any surprising results for you in this 3D printing trends report from 3DHubs.com? 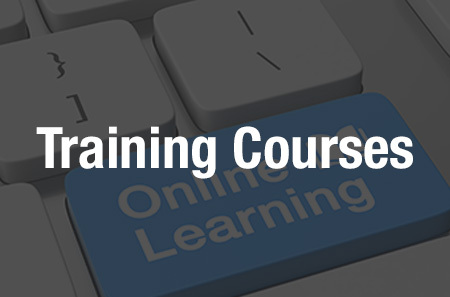 Let us know in the 3D Printing Trends Report for July 2015 forum thread here on 3DPB.com. Below are several charts from this month’s report.